Hobbit’s Glen Golf Course, a Columbia Association facility, launched the nation's first Artificial Intelligence driving range, which is open to the public, enabling golfers to receive on demand golf instruction on their mobile devices while hitting balls on the range. 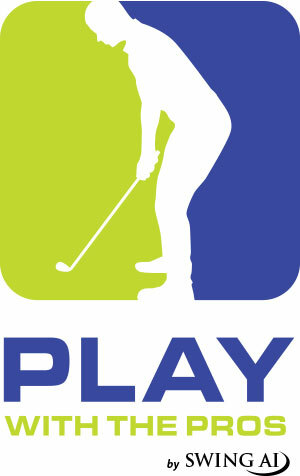 Players can experience SwingAI by downloading Play With The Pros on the Apple App Store (https://itunes.apple.com/us/app/play-with-the-pros/id1364108595?mt=8) or Google Play (https://play.google.com/store/apps/details?id=us.playwiththepros.swingshot). Golf instruction has changed forever. Your mobile phone camera is now your golf coach and golf instruction is now about you, your goals, your swing, and your schedule. SwingAI provides you an AI-driven, two-way, on demand golf instruction experience from the world's top golf instructors, anytime, anywhere. Your golf swing is personally analyzed providing you personal teaching experience to help achieve your golf potential. SwingAI, Artificial Intelligence for golf instruction. Voted the Best Golf Course in Howard County for 2017 by Howard Magazine readers, this pristine semi-private club is carved through and around the Maryland timber. The par-72 course has been the host of several Champions Tour events over the years and plays just over 7,100 yards from the back tees and 5,400 from the front.